1 Is Popcorn Considered a Vegetable? Most people think of popcorn as a buttery, salty treat. 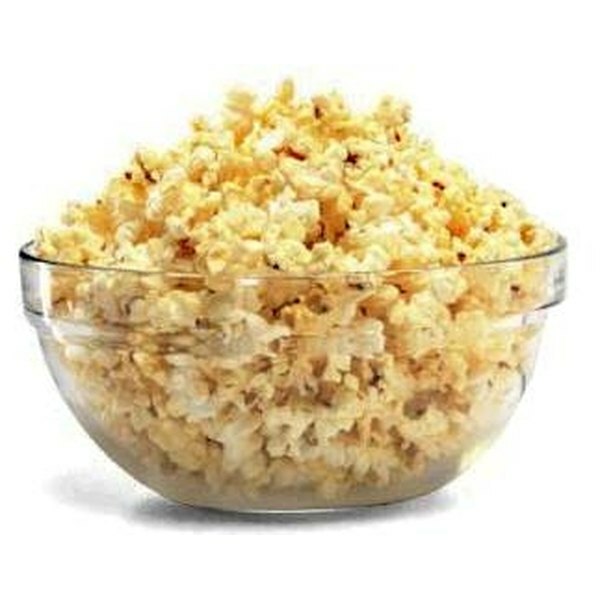 While it is true that popcorn can be unhealthy, as long as you are mindful of the fat and sodium contents, along with the serving size, popcorn can be a healthy, filling snack that provides a substantial amount of fiber. Popcorn is a good source of fiber, especially insoluble fiber. A 4-cup serving of popped popcorn contains about 7 g of dietary fiber. The recommended daily value of dietary fiber is 20 to 35 g for a healthy adult. Popcorn is considered a low-calorie food because fiber is indigestible. Since the body can't absorb nutrition from fiber, it contributes no calories. It does, however, absorb water in the intestines, which creates bulk. This speeds up the removal of potentially carcinogenic substances from the body. Including recommended daily amounts of fiber into your daily diet has been shown to lower cholesterol, decrease the risk of heart disease, and maintain blood sugar levels, among other health benefits. It is also a crucial part of any weight management program because it has no calories, but you still feel full and satisfied after a meal or snack high in fiber. Popcorn comes in many varieties and flavors. Kettle corn is coated in a butter and sugar mixture. Caramel corn is coated in caramel. 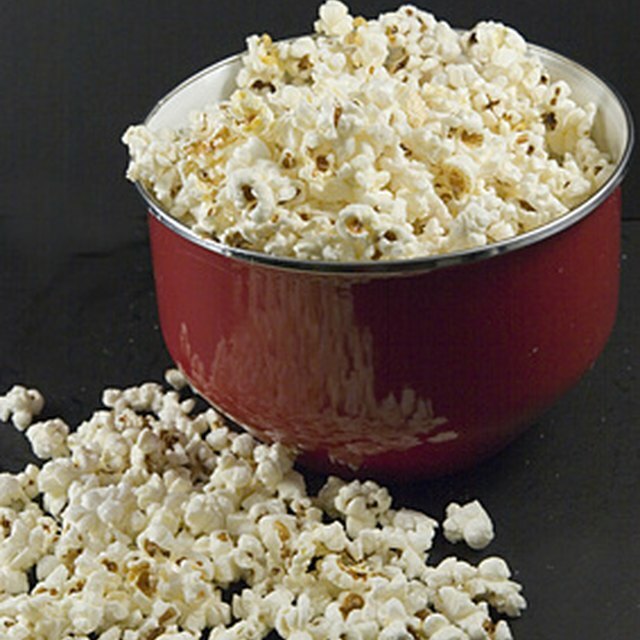 Popcorn can be popped in a microwave, over a stove or campfire or in an air popper. Many brands have low-fat, low-sodium or extra-butter selections. All varieties are a good source of fiber, but other nutritional facts can fluctuate, depending on the brand and variety. Air-popping popcorn is the healthiest way to make popcorn, because you get all the fiber while controlling the salt, oil or butter. Air-popped popcorn has fewer preservatives and chemicals than microwave brands. But for a quick, high-fiber snack, microwave popcorn has minimal preparation and cleanup. Organic microwave popcorn choices have fewer chemicals, and low-fat versions make a healthy snack without the mess and cleanup of an air popper. Popcorn seasonings come in a variety of flavors (cheddar, ranch, Parmesan) and can be a healthy way to add flavor to popcorn, when used in moderation. Study the nutritional information to evaluate which seasonings are appropriate for your health goals. Consuming too much fiber (above 60 grams per day) may result in gas, bloating and dehydration, especially if your body is not used to large amounts of fiber. Don't rely on popcorn alone to meet your daily fiber needs. It is important to get fiber and other nutrients from a variety of foods, such as dairy, grains, vegetables and fruits. Melanie Beach has been a writer in various fields since 2003. Her articles can be found on eHow and Answerbag, focusing on a range of topics, including composition, education, fitness, diet and nutrition, veterinary medicine and disability benefits. Beach received her bachelor's degree in English from California State University in Sacramento.